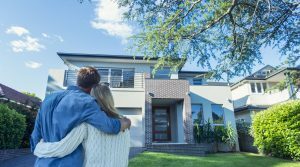 In the 21st Century, land is truly the biggest asset anyone can really have and First One Realty, functioning in Perth, Western Australia, is a company that understands this like no other. Surviving and remaining a relevant part of today’s real estate world is no easy task at all, yet First One Realty is one real estate agency which has managed to survive the gruelling test of time and handle even the most challenging projects which has come its way. Irrespective of whether you are a buyer, seller or even investor, you can rest assured that this company will find something that fits your bill exactly. Whether you happen to be looking to buy a house or even land, you can be sure that First One Realty will not disappoint you on any front. The biggest advantages of working with such an experienced company like this one is that they will get you a great deal without much effort at all. After all this brand has a great network and also is in direct contact with a number of multiple land developments. So, if you have finally taken the plunge and decided to invest in some land, then you should make it a point to place your trust in a company which is worth your while. Doing land sales in Perth is truly a challenging task, but we have an excellent team that is competent, reliable as well as completely up to date in terms of information pertaining to industry trends and even the property market. Investing in property is truly a huge deal nowadays and you can be sure that a brand like First One Realty will truly deliver on all its promises whether you need a piece of land or even are looking to purchase your dream house.